What Type of Hard Drive Do I Need for a Surveillance System? This article helps you to know more about the basic specification required for a surveillance system. Whether we are talking about monitoring your own home or office, or even a bigger area, like a store, installing a camera surveillance system is definitely one of the best decisions you can take. Besides having complete control over the entire area, no matter where you are, you also know what happens, in case of an unpleasant incident. However, setting up such a system, especially if you're doing it all by yourself, is far from being an easy process! But with the proper research, it’s not impossible either. 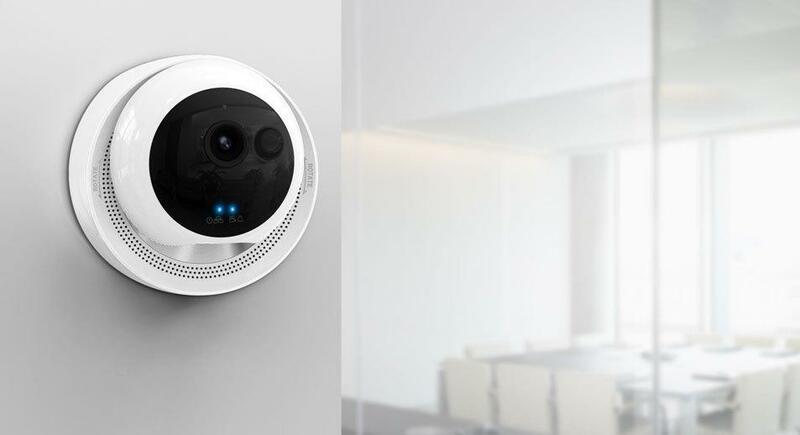 During the entire setup of a WiFi IP camera surveillance system, there are a few important steps you should pay a lot of attention to. For example, after setting everything up, the next big thing you need to pick – very carefully, that is, is your hard disk. Yes, you read that correctly. Picking the best IP cameras is important, of course, but finding the best way to keep your data is also essential! Get the details of Camera Review. What are the differences between the hard drives? A lot of people believe that they can use the same type of hard disk they use for desktop PCs for a surveillance system, considering that they operate in a similar manner. However, they are completely wrong. While a desktop HDD is designed to operate an average of 8 hours per day, with a workload between 10 and 20%, as well as a low to moderate performance. On the other side, a surveillance HDD works a bit differently. Since they basically work 24/7, the surveillance HDD forms a central component to the digital storage and needs to be active all the time, in order to keep all the video evidence live. As for the usage, it will always be moderate to high, so manufacturers have this in mind when designing them, even offering specific plans to recover data from a failed drive, so you can protect your camera footage. To wrap things up, it's obvious that only a hard disk drive specifically built for surveillance purposes is the only choice you can make when thinking about setting up such a system. And for those who still want to use a PC hard drive, let us put it like this: yes, you can use one, but after ~6 months of continuous recording video feeds, it will most likely burn. How to pick the best surveillance hard disk? Over the past years, the required storage capacity for surveillance footage significantly increased, so, naturally, this also increased the demands for hard disk drives. Like expected traditional HDD manufacturer acknowledges this trend, as well as the need the video surveillance industry has, so they decided to exploit the moment. In most cases, a product made by a famous brand is not necessarily the best, but when it comes to picking a hard drive for a surveillance system, it's exactly the opposite. If you know at least the basics about building a PC, you've definitely heard about brands like Western Digital or Seagate. They also happen to make some of the best hard disk drives for WiFi/IP camera-based security systems and even the best models released in 2017 are recommended to be used with HDDs from these brands. .Here are recommended to be used with HDDs from these brands. Designed for the extreme demands of high temperatures and compatible with 24/7 surveillance systems, these HDDs are engineered for high quality video playback, whenever you need it most. They are also optimized to support up to 64 cameras, giving you the possibility to use them for big systems, covering wide areas. The product range is incredibly varied, as you can start with a 500GB drive, perfect for smaller spaces, or choose between capacities of 1, 2, 3, 4, 6, 8 or even 10TB, depending on the number of cameras and surface you want to monitor. Optimized for DVR and NVR systems, Seagate's SkyHawk line-up of surveillance drives are also specifically tuned for 24/7 workloads. Also, thanks to the ImagePerfect firmware, then can minimize dropped frames, as well as the downtime. Finally, they can record up to 90% of the time and support up to 64 high definition cameras as well. Just like their competitors, Seagate offers the surveillance hard disks in various capacities: 1, 2, 3, 4, 5, 6, 8, or 10 TB. Also, thanks to the robust design in a RAID environment, the drive performance can be maintained, by improving vibration tolerance. Which manufacturer has the best drives? Ok, so now you know that Western Digital and Seagate and pretty much the only brands you can rely on, but the real question is: which one is actually the best? Unfortunately, none of the manufacturers revealed anything about failure data, but we do have information coming from data backup and recovery service companies. One of them is Backblaze, that offers user unlimited data backup service. According to Unifore, back in December 2014, Backblaze revealed the failure rate of HDDs from different brands over the year. 15,528 Seagate drives, the entire registered number, had a fail rate of over 40%, among 3TB variants, while 1.5TB and 4TB variants had a way lower rate, of under 15%. As for the Western Digital hard disk drives, just 1,174 were registered in their database, with a fail rate of under 10%, for both 3 and 6TB versions. Of course, after analyzing the information from 2014, it can be said that WD’s hard disk drives are far from being the best, but in the meantime, the company declared that its products’ quality improved significantly. After all, their drives and Seagate’s are dominating the surveillance camera market. What’s the cost of maintaining a security surveillance system? We know that you hate it, but we have the most generic answer: it depends. It depends on the size of the area you want to cover, the number of cameras or the amount of time you want to record. A more detailed answer about the cost can be found in Techulator’s Ask Experts section. As a conclusion, we can summarize the whole debate in a single sentence: you shouldn’t buy a PC hard drive for a surveillance system. Fortunately, the market is already big and you have a lot of dedicated models to choose from. Again, our recommendation is to choose between Western Digital and Seagate, but, in the end, it’s your decision!